Single page applications have become an indispensable part of modern web life, so it is not surprising that there are so many different frameworks used for their development today. AngularJS is one of the best frameworks created by Google for this purpose. It has proved its capability to meet challenges and easily overcome them. Moreover, there are some unrivaled benefits of AngularJS including ease of use and fewer coding mistakes, fast performance, different approaches, extended features, great development community and Google support etc. AngularJS services are in demand nowadays, but not every company can boast the best Angular specialists. Web Peppers has a significant advantage – professional Angular development specialists available for hire. 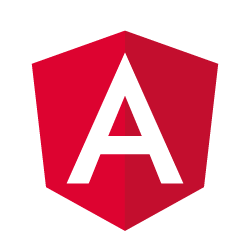 If you lack any experts in AngularJS, Web Peppers is always happy to provide you with the top notch angular outstaffing services. Each our team member has much experience in coping with Angular projects and sets the client’s requirements as the main prerogative, so all our customers are satisfied with the angular outstaffing services from Web Peppers. Turn to our company for the ultimate AngularJS developers if you want to implement all your plans into reality.